Are you looking forward to the summer? 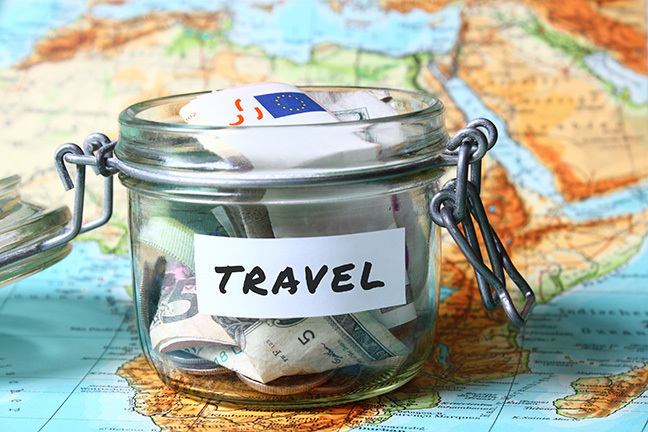 Maybe planning a vacation, but not sure how you’ll afford it? Here are a few ways to help you save and earn extra money so you can enjoy some summer fun. One way is to automate saving by diverting a portion of your salary into a savings account. If you have direct deposit, set up an automatic transfer at your credit union so when your employer sends your check to your share draft account, a portion can go directly into a savings account. You might also want to reduce your expenses. Put your cable on hold. Use the library to check out videos, video games, and books. Use grocery coupons and shop for food in bulk. Make your own lunches and dinners at home instead of eating at restaurants. Check out your area community centers for free or cheap entertainment and activities. There are also plenty of ways to make more money. Have a garage sale. Include friends or neighbors and use the house with the best visibility and traffic. If a garage sale won’t work where you are, sell some things on eBay, Amazon, or Facebook Marketplace. Even broken electronics can be sold for parts! Are you good at making things? You can earn some extra money making jewelry, phone cases, sweaters, or any number of things, and selling them on Etsy. If you are eligible for overtime, ask your employer if you can work extra hours. If you have skills as a web designer, writer, or editor, take on freelance assignments through websites like UpWork and Fiverr. TaskRabbit matches job seekers with in-person jobs. You can earn extra money by doing things like packing, cleaning, assembling furniture, dog walking, or helping someone figure out Excel. For part-time gigs you didn’t know existed, check out the Penny Hoarder. Their suggestions run the gamut from mundane, to elaborate, to downright strange. A previous blog, 6 Side Hustles to Bring in Extra Cash, also has a few suggestions for side gigs. In the run up to summer, a little financial planning will help you have lots of fun without breaking your budget.